A lot has been said about how the Nintendo 3DS version of Super Smash Bros. has held back the main release of the Wii U version. Restricted characters, game modes, and other bells and whistles have reportedly been cut because the Nintendo 3DS' limited hardware just couldn't keep up, and Nintendo wants the two versions to be exactly the same. This seems to be the atmosphere that most fans will believe, until Director Masahiro Sakurai threw this monkey wrench into the fix. The Wii U is going to have two unique game modes not found in the portable version. Now, what mode is this…?! It's a secret to everybody! 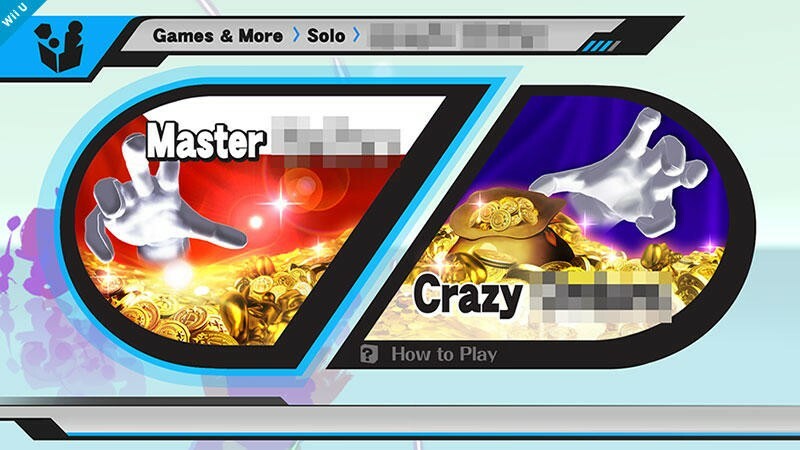 I have no idea what the modes are, but we can only assume that "Master" mode is going to be for masters, and "Crazy" mode is going to be absolutely crazy. Sounds like a stretch, I know. At least "Crazy" mode sounds like a whole bucket of fun. On a more important note, we have confirmation that besides graphics and trophies, the Wii U version of the game is going to be home to content not found in its smaller brother. How far does the rabbit hole go? We'll have to wait and see on Nov. 21 when the Wii U version of Super Smash Bros. is released.